Oct. 4 - Since her birth in 1944, Pulitzer Prize-winning author and activist Alice Walker Shas been on a crash course with multiple destinies. The brilliant daughter of impoverished Georgia sharecroppers, Walker has serendipitously crossed paths with such political luminaries as Martin Luther King and Fidel Castro. She has been befriended and mentored by literary greats Langston Hughes, Muriel Rukeyser and Jane Cooper. 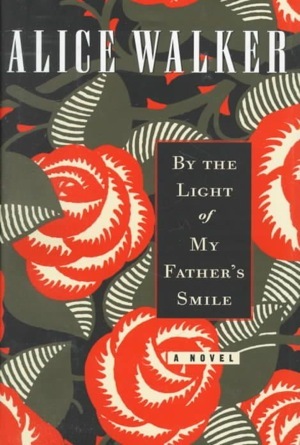 Considering the diversity of her personal history, it is little wonder Walker's latest intriguing novel, "By the Light of My Father's Smile,'' not only celebrates the unexpected, but also embraces ideals well beyond the traditional fringe. Walker's erotically charged story follows sisters Susannah and Magdalena through their sexual and spiritual awakenings, and illustrates how the two are inextricably interwoven. Susannah, the "good'' daughter, is adored in childhood by her father, an anthropologist posing as a missionary to study the Mundo tribes in the wilds of Mexico's Sierra Madre. Magdalena, the "wild'' child, is misunderstood as she dives head first into the ceaseless adventure of her sexuality, despite her father's obvious misgivings. When he discovers her teenaged affair with a young Mundo tribesman, Magdalena's father - "sucked into the black cloth'' of puritanical Christianity, Walker writes - brutally beats her with a silver-studded belt made by her lover. A disillusioned Susannah watches through a keyhole in the bedroom door. Trust and understanding shattered, the father must struggle to rebuild the familial bond so violently discarded - even as an angel, after death separates his physical presence from the women his daughters become. With explicit sexual flair and fluid, descriptive prose, Walker explores the function and dysfunction of sexuality, as it relates to the growth of the human spirit. She glides unabashed into her story telling and her personal purpose, without hesitation or a moment's regret. Because she incorporates several different narrative points of view, and because it leaps from one time frame to the next, Walker's story can be difficult to track, but her descriptive prowess and fast-paced plotting make each chapter a joy to read. Her unyielding passion and purpose make this a hard book to put down. Kelly Milner Halls is a freelance writer who is a regular contributor to the Book Report on America Online. She lives in Longmont.